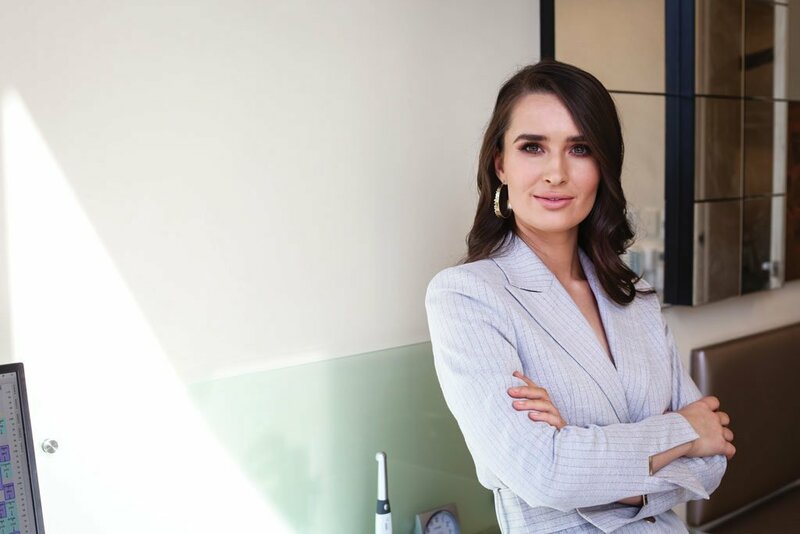 As a newly graduated dentist at a busy CBD surgery, Dr Amelia Judson has managed to expand her skill set by taking on another role—as a social media influencer. While this isn’t a common position at most dental surgeries, a practice owner may want to rethink this after discovering the value of Dr Judson’s contributions. So what’s an influencer? “It’s somebody who lets others into their life via an online platform,” she says. The influencer, who’s usually a millennial or gen Yer, needs to have established credibility in a specific industry—like Dr Judson. At present, the 23-year-old is working at Melbourne’s Smile Solutions, as well as managing her personal Velvet Smile channels. Here, she’s up to date on posts and what message she wants to get out, and investigates rising trends within social media. She runs an Instagram page and a Facebook business page called Velvet Smile that covers lifestyle, dentistry, health and fashion. Generally, once an Instagram page has over 10,000 followers, the owner of the page is considered an influencer. Velvet Smile is closing in on 20,000 followers. You wouldn’t necessarily know from her well-polished persona that Dr Judson grew up on a farm in the small NSW village of Bogan Gate, which has a population of just over 300. While studying dentistry at Charles Sturt University in Orange, she soon discovered her passion for DJing around the campuses. As her popularity—and skills—expanded, she told Orange City Life magazine that she would like to get out and play in front of an audience. A local publican sent her a message on Facebook inviting her to play and it grew from there. She started getting more gigs, bought more equipment, and was soon playing in Parkes, Dubbo, Cowra and Forbes. Eventually she broke into the Sydney scene and on her 20th birthday, she played to a huge crowd at the Future Music Festival. She followed that up by being flown to Queensland’s Magnetic Island to DJ a huge New Year’s Eve party. 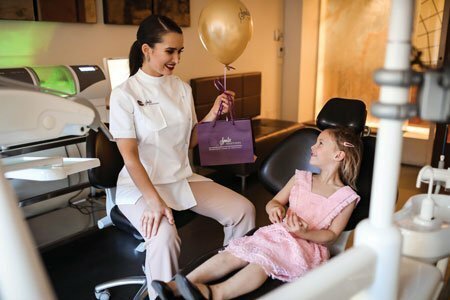 It was at this time that Dr Judson received an email from Dr Kia Pajouhesh, the principal dentist and managing director of Smile Solutions, the largest one-location dental practice in Australia. He had come across the dentist in a newspaper article published in Dubbo and was familiar with her social media sites. “Dr Pajouhesh liked what I was doing with my accounts and wanted to bring me on board to Smile Solutions,” recalls Dr Judson. “He felt that my social media presence could be an asset to the business and the resources they could supply would complement and grow that presence. As a new grad, I was excited about the prospect of a job and the opportunity to manage a social media platform that would educate people about dentistry. “A big issue at present is sore gums after tooth whitening,” she explains. “Many people who follow me use home whitening kits or the services of people who come to your house and whiten your teeth. Even though Velvet Smile is very much in Dr Judson’s voice, it’s integrated with Smile Solutions. Dr Judson works with Smile Central which is the marketing arm of Smile Solutions. Many people are surprised at how much time effective social media can take. “If you want to put a post out today, it actually takes quite some time to have the photo taken, to find the content, curate the content, then write the post,” says Dr Judson. Dr Amelia Judson on the job. As Dr Judson shows, using an influencer will certainly get a practice’s message to a younger demographic. Trying to use a 50-year-old expert in a white coat to impart knowledge is simply not going to work on social media and the message will be lost. When Dr Judson first started looking at Instagram pages of different dental clinics, the first thing she noticed was the similarity in practice colour schemes. They were predominately bright blue and yellow, and came across as “a bit daggy”. A dental trend among many influencers is to have porcelain veneers placed, and the impact can be seen on their tens of thousands of followers. Young patients think veneers are nothing more than a fashion accessory. Influencers like Dr Judson are making them understand that the dentist will cut into a virgin tooth to fit those veneers. They need to know that the veneers may have to be replaced every 10 to 15 years and there’s a lot of upkeep involved. At the end of the season, you can get rid of that Gucci bag but veneers are something that’s with you for life. “A lot of people message me or talk to me about their dental questions, hopes and aspirations,” says Dr Judson. “It can be quite scary. Often, they don’t have all the information they need to make a decision but they are planning on going ahead anyway. Dr Amelia Judson’s tips for growing your Instagram.